Indie Retro News: Micro Machines & Marble Madness - A double Amiga CD32 special! 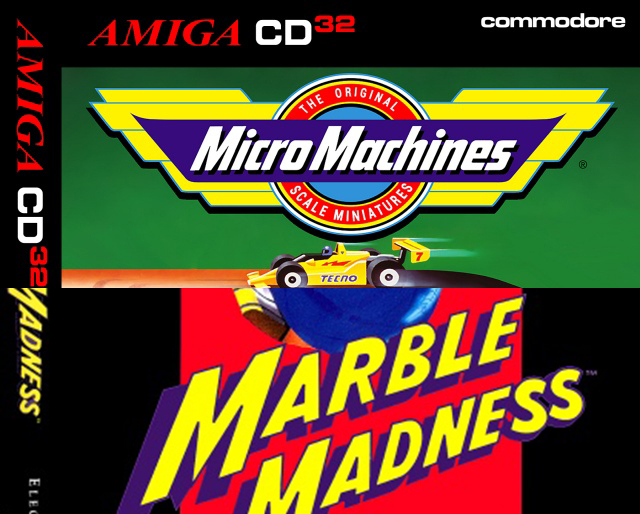 Micro Machines & Marble Madness - A double Amiga CD32 special! This week has just got a whole lot better as Kloks has teamed up with Earok to release not one but two fantastic games for your Amiga CD32. Each one so well known, that they are a huge hit with the gamers even today. It's none other than Micro Machines which was originally released in the 90's and Marble Madness from the 80's, both having multiple system ports such as the original Amiga, Sega Game Gear, Sega Mega Drive and NES. The first game is just so good that now it's on the Amiga CD32, you'll find it hard to find a better multiplayer game that really takes you back to those childhood days of miniaturized racing. Micro Machines is so unique and fun that it features track based racing in a household setting such as kitchen tables, desktops, pool tables and bath tubs. The tracks also contain obstacles in the form of household items, which when hit can cause your vehicle to fall off the scene. Which can also happen when you get bumped by an opponent to reach the finish line. 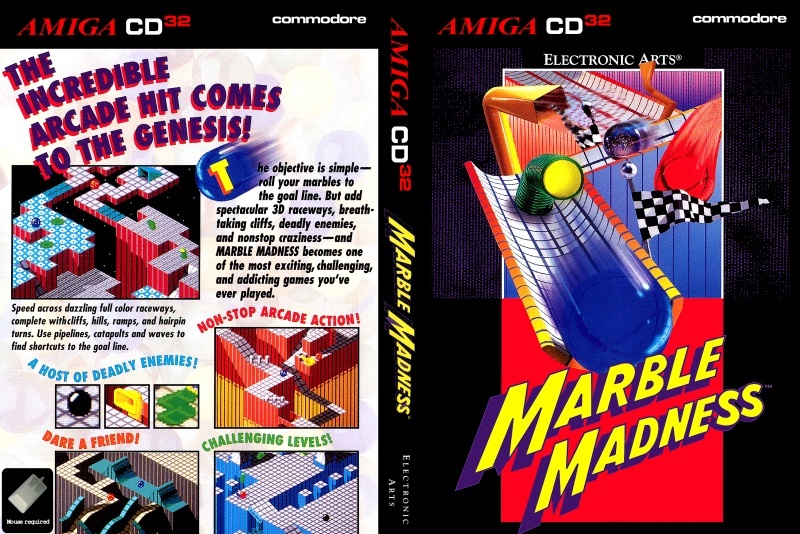 The second game and my personal favourite, going by the fact that I used to play this game many years back in the Arcades, with a roll ball device trying to stop my ball from falling down the chasm, is the isometric game ' Marble Madness ' from the 80's. 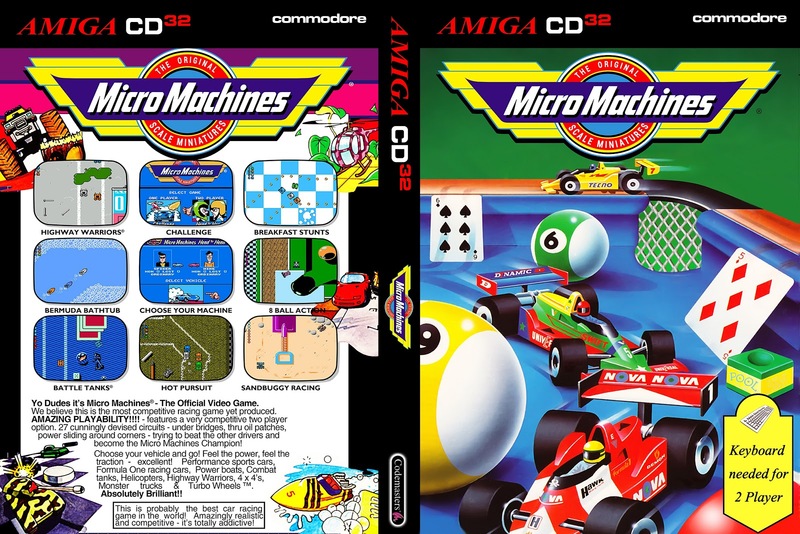 This being an Amiga CD32 port from the Sega Genesis original, the aim of the game is for the player to complete isometric race courses before a set amount of time expires. What made this game so much fun, was the maze designs with enemies, huge cliff top drops, hills, ramps, catapults and many other cool things that are as good as experience now as it was all those years ago. So what are you waiting for? Give these two fantastic CD32 games released by Kloks and slave by JOTD a play today, I can guarantee you'll be hooked for hours!